Two semester course, for English Credit, no prerequisites needed. 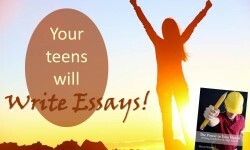 Learn what they need to know, for high school, and will be prepared for college writing. Classical approach designed for gifted students and covers grammar, composition, poetics (poetry), and vocabulary. 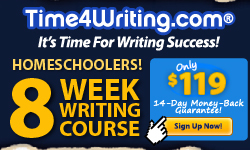 For students who have mastered grammar, uses dictation, editing, extensive creative writing. This year-long program, students systematically and artfully learn how to communicate their “big idea”, in the form of an essay. IEW’s award-winning approach, provides tools proven to teach your students how to write, think, and speak with clarity and confidence.